If you read last weeks post you will know I was focusing on my dissertation, and for much of this week that was the same as I had a supervision on Thursday so needed to get myself organised for that. It was handy to have a supervision at this point as it allowed my check in where I was at, and check I wasn't missing anything major at this stage. I was glad to have a chance to work out how to actually look at my data, The impact of being a complete novice with research is uncertainty at ever stage of this process so the input from my supervisor to share her knowledge was a plus in helping deal with this uncertainty. This week was also the start of our last uni module, and I was right in thinking it will be an interesting module, looking at emerging areas of practice and how we could pitch services which will all be helpful skills after graduation. 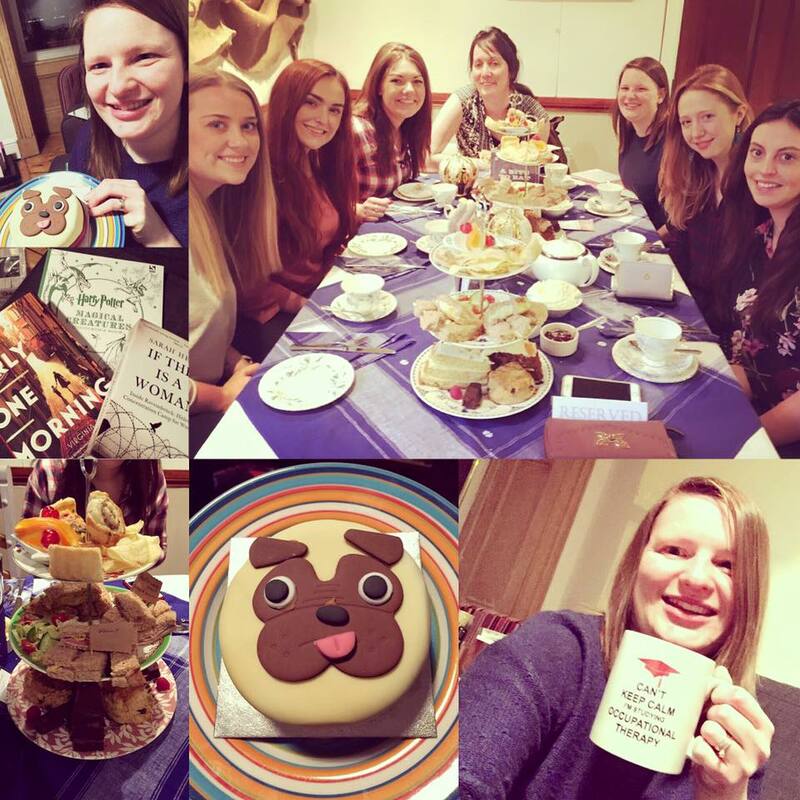 Since I was in class on my birthday, my lovely friends organised a surprise birthday afternoon tea which was a lovely end to the day. Doing the masters course can be really stressful at times, so having these little social occasions to look forward to helps keep the spirits up, and keep the balance in our activities.